Margaret Jill Thompson was born in Saskatoon on February 24, 1937. In 1960, she received her Bachelor of Science in Nursing from the University of Saskatchewan. After graduation, she held various nursing and instructor positions at Kelowna General Hospital, Vancouver General Hospital School of Nursing, and Guys Hospital in London, England. From 1970-1971, she completed a public health nursing course as well as other coursework in health care and epidemiology at the UBC School of Nursing. From 1971-1977, she was a public health nurse for the South Okanagan Health Unit in Kelowna, BC. In 1984, Thompson received her Master of Education from UBC. Thompson was a nursing instructor for the Diploma Nursing Program at Okanagan College as well as the University College of Fraser Valley. 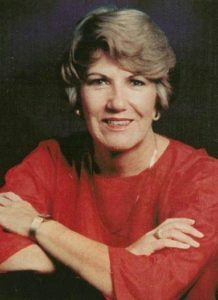 Upon retirement from teaching, she joined the BC History of Nursing Society and held various positions of Chair, Oral History Committee; Membership chair; Newsletter guest editor with husband, Bruce Beaudreau, whom she married in 1995; and coordinator of BCHNS' historical displays at the Registered Nurses Association of British Columbia (RNABC). She also submitted articles for the society's newsletter and was recognized by the society for her knowledge of nursing history and her research into the life of Florence Nightingale. Thompson died in 2001. Fonds consists of two centimeters of records dating from 1997 to 1999. They include correspondence, conference programs for the 1997 International Conference in Vancouver, and newspaper and journal article clippings. A Florence Nightingale doll and costume is also part of the collection.